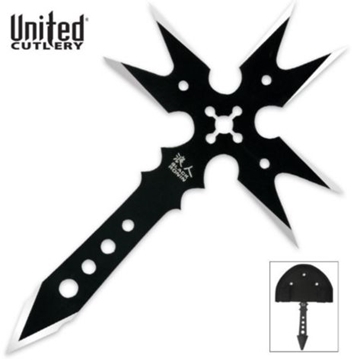 For over twenty years United Cutlery® has been distinguished by their unique and innovative product designs that cover a wide range of knives and swords, from functional to fantasy. 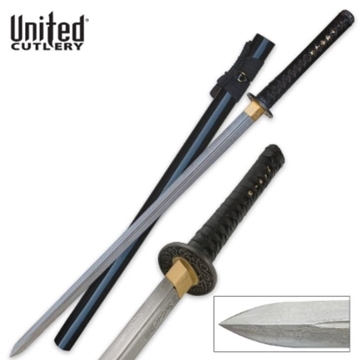 United is well known for their movie prop replicas, fantasy collectibles, great selection of functional sport and utility knives, traditional samurai swords, and our unique designer knives and swords by Kit Rae and Gil Hibben. 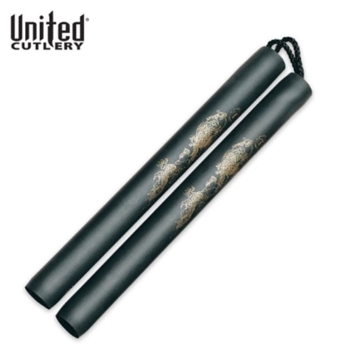 Often imitated, but never exceeded, United Cutlery® strives to make their knives and swords to the highest standards in the industry. 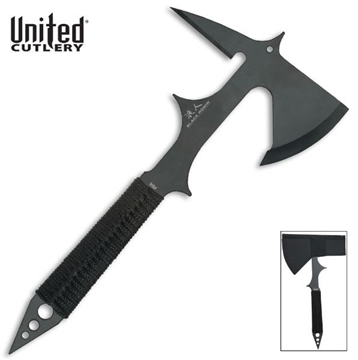 Take your throwing skills to the next level with this Black Ronin Fantasy Gothic Throwing Axe! 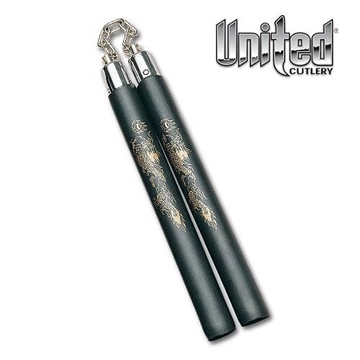 Unlike cheap imitations, this Black Ronin blade is built to the highest quality standards. 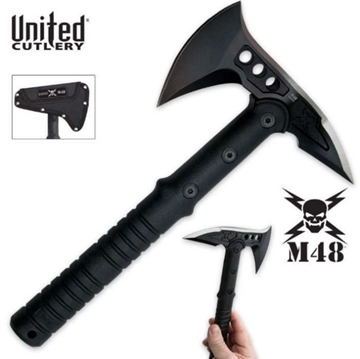 You can't go wrong with United Cutlery's M48 products! 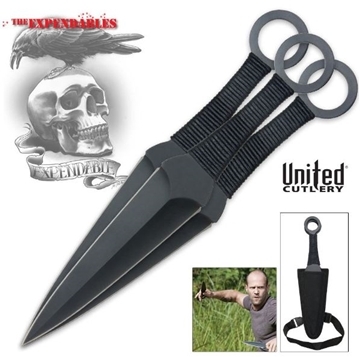 Officially licensed "The Expendables" throwing knife set! It's Damascus steel. It's double-edged. 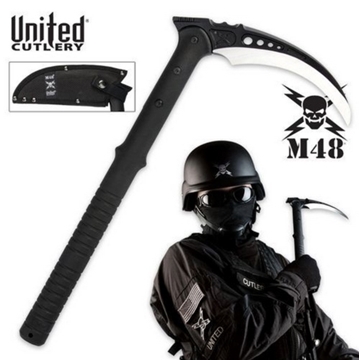 It's United Cutlery "Bad to the Bone". What more could you want!?! 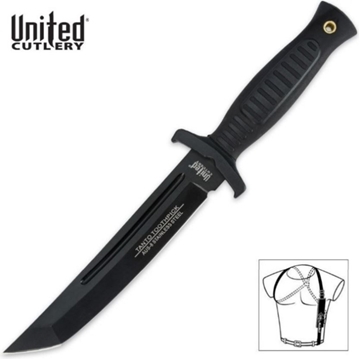 United Cutlery has updated the popular Combat Commander series with an all new Combat Commander Tanto. 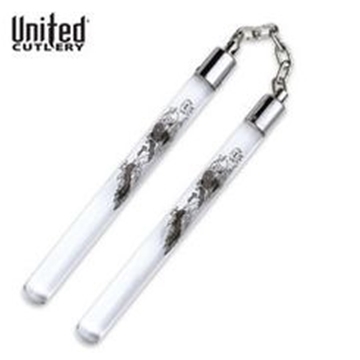 These nunchaku are impact resistant and feature transparent acrylic construction with a monochrome dragon image. The 11 7/8" handles are topped with steel caps steel caps and are connected with stainless steel chain links. 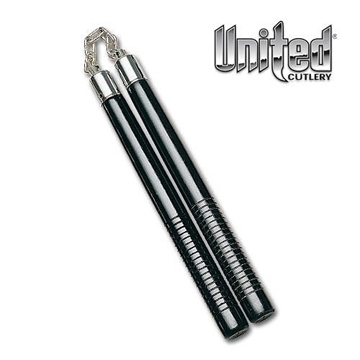 These foam nunchaku are the easiest and most pain-free way to learn the art of "the chucks." You'll be Jackie Chan in no time without a lot the bruises on your face. 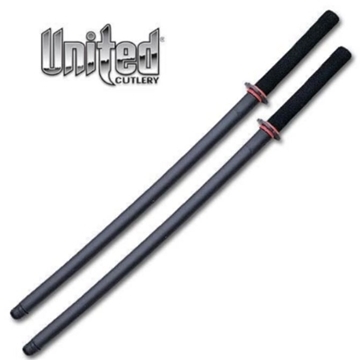 This professional daito set is designed for rigorous sword training.